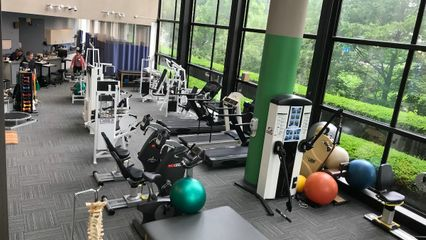 Our experienced and friendly staff are dedicated to providing Waterbury and the Naugatuck Valley area with the highest quality outpatient physical rehabilitation, health and wellness services for over 27 years. Kathleen has been a practicing clinician for 41 years. Her passion in life has been helping others. "I have always considered being "asked to help" a privilege. To bring healing to someone in distress from an injury, illness or trauma is the most gratifying experience one can have. I help my patients, families and multidisciplinary care providers find healthy solutions to strengthen and heal for return to functional activities, restore confidence and return to a complete life." Kathleen's educational background includes a Bachelors of Physical Therapy from the University of Connecticut. Certification in Aquatic Therapy, Cyriax, Paris, McKenzie and Mulligan Mobilization. She has multiple certifications in Industrial medicine and Functional Capacity Testing with emphasis on return to work programs . Kathleen has been an adjunct educator at NVCC and University of Connecticut and CPTA. She has written various articles for professional magazines and newspapers regarding physical therapy practices. Julie graduated from the University of Connecticut in 1988. and immediately began working as a physical therapist in the outpatient orthopedic setting. Went on to add administrative duties where she was a PT Director with Professional Sports Care from 6/95 to 10/96 and then an Administrator with Health South from 10/96 to 12/99 responsible for two physical therapy centers including the Center for Knee Care. When Julie decided to start a family she left administrative duties behind and focused on her true passion of helping patients return to normal lives by reducing pain and increasing function. Julie has thirty years of physical therapy experience centered in orthopedics and sports medicine. Continuing education throughout the years include coursework in McKenzie, Mulligan and Paris treatment techniques, McConnell Patella Femoral taping techniques, Aquatics, muscle energy and HawkGrips soft tissue mobilization techniques. In her free time Julie enjoys spending time with her family hiking, kayaking and traveling. Julianne graduated from Misericordia University in December 2017. She began working at Ivy Rehab after having had one of four intense clinical rotations at the Ivy Rehab Wallingford location. Julianne specializes in outpatient orthopedics and manual therapy. She has a special interest in vestibular rehabilitation and neurological diagnosis and has started taking continuing education courses to learn more. In her spare time, she is either relaxing with her family and friends or refereeing soccer. Carol has treated in outpatient PT since 2000. Carol graduated from NVCC and completed several online courses at Champlain College with focus in Healthcare Administration. Carol has experience and certifications in aquatic rehab, Hawks Grip IASTM, Mulligan, McKenzie, NMPT1( St John), Williams, MET and workers compensation/work conditioning.